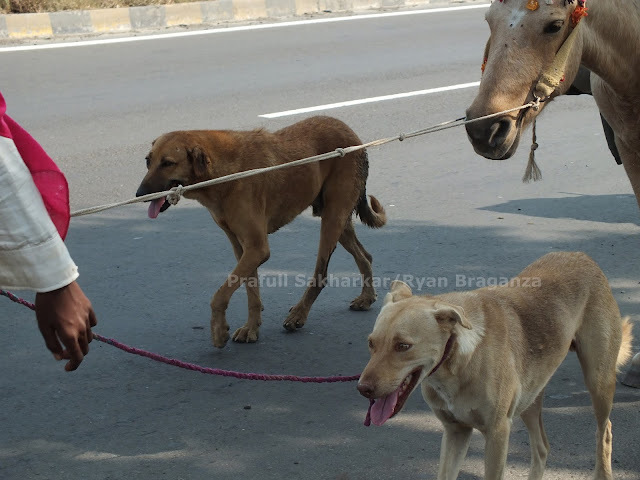 If you've been following this blog for some time, you may remember some of my earlier rants, er, posts, trying to clear up misconceptions about pariah dogs and village dogs...? Like this one? And this? 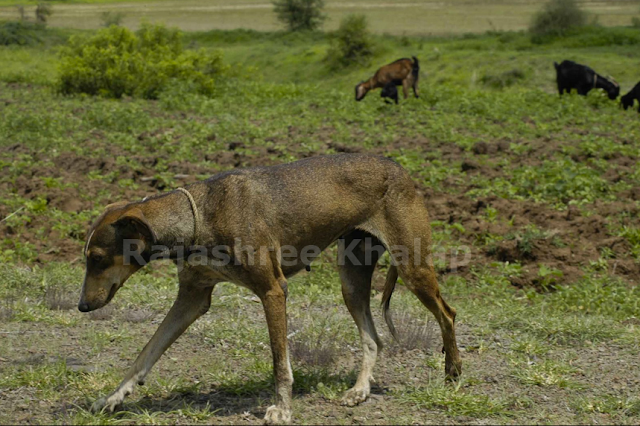 Another huge misconception I come across all the time is this - INDogs are the predominant village dog in India. INDogs are by no means the only type or the most common type in this country. They do however have a wider distribution than any other type, and they may well have been the ancestral stock of all other Indian dogs. But they are uncommon today for two reasons. Mongrelization with Eurobreeds is now widespread in many rural areas as well as cities; and there are numerous regional native types that are NOT INDogs. The truth about INDogs is, location is as important as type. 1. Plains areas, excluding grasslands. That's because mountains and plateaux have their own landraces; and grasslands almost always have locally-developed sighthounds. 2. Relatively remote areas that are hard to access. Villages, of course, but not every village. Only those that are poorly connected with the outside world. Villages in forested areas; in the Sundarbans mangroves - these are typical 'INDog' sites. 3. Areas with impoverished human communities. Because as soon as villagers become prosperous, they acquire 'English' dogs as status symbols, and the local dog population gets mongrelized. 4. Areas where no other breeds have been developed or introduced. Some parts of India, notably the state of Tamil Nadu, have a strong tradition of creating their own regional breeds. INDog-type dogs are a minority there. These conditions narrow down the INDog geographical range considerably. In fact they rule out large swathes of the country! 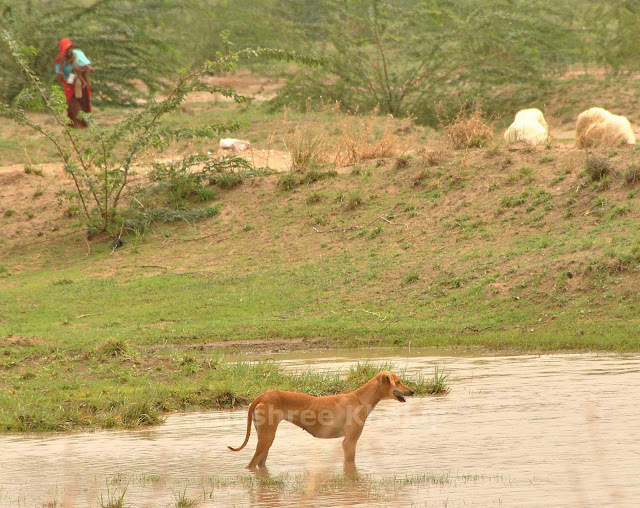 Here's a beautiful INDog in the Sundarbans, still one of my favourite photos. From 2008. 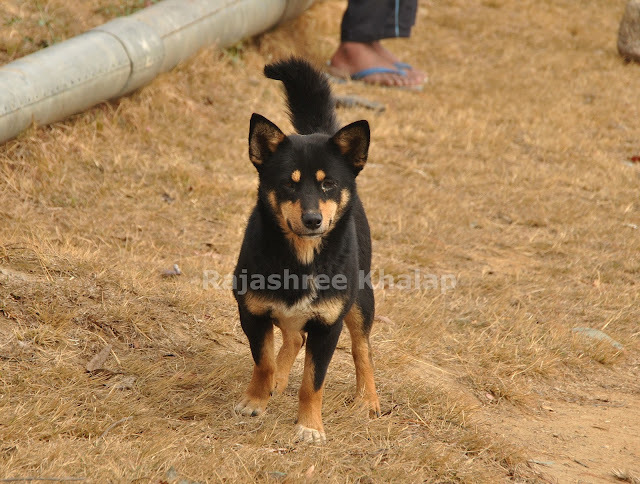 And our breed description of the INDog, from our website, for those who haven't read it before. And this is a nice article on INDogs and other pariah breeds, by Jaymi Heimbuch in Mother Nature Network last year. (Incidentally the photo was clicked by me in a Gond tribal village in Mandla district; we contributed the picture to Wiki Commons). 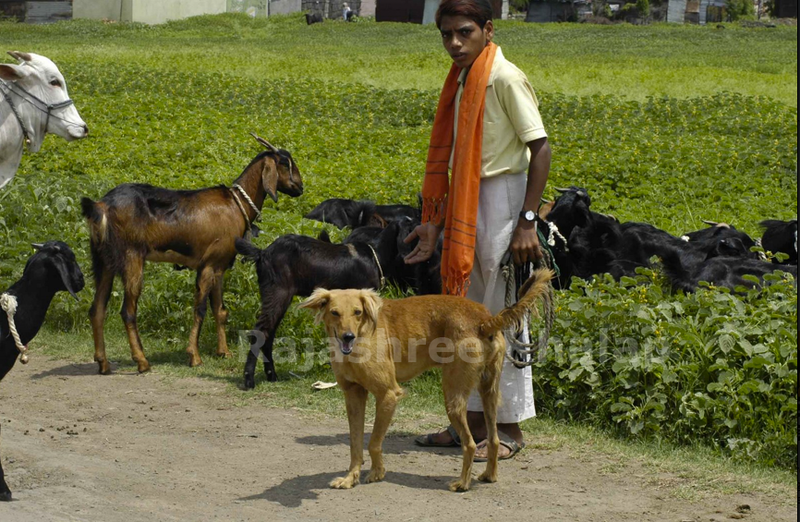 And now, here are some of the many village dogs that are not INDogs! 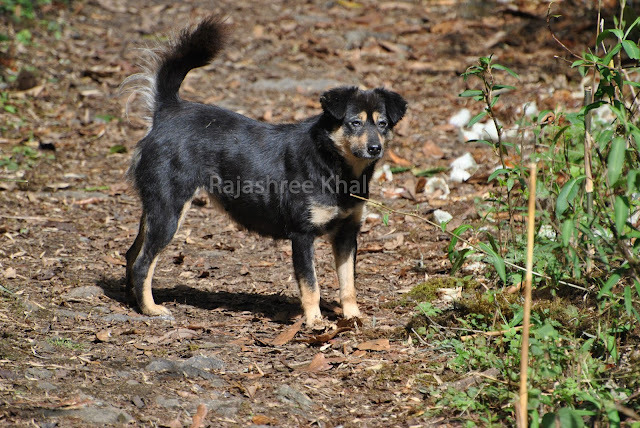 Typical dog in Uttarakhand. This one was at a forest rest house. 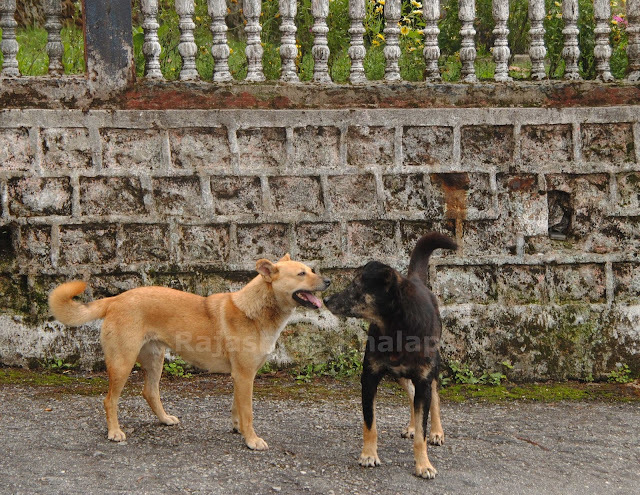 Typical stocky thick-coated village dogs of North Bengal, many possibly mixed with apso. These were in Lava near the Sikkim border. Dhangar sheepdogs traveling with the Dhangar tribe; they are semi-nomadic. Western Ghats. Dogs like this are very common in the scrub and grassland areas near Ajmer, Rajasthan. Probably used for poaching hare. Eurobreed-mixes in prosperous villages: these are exactly the same as the free-ranging dogs on city streets! 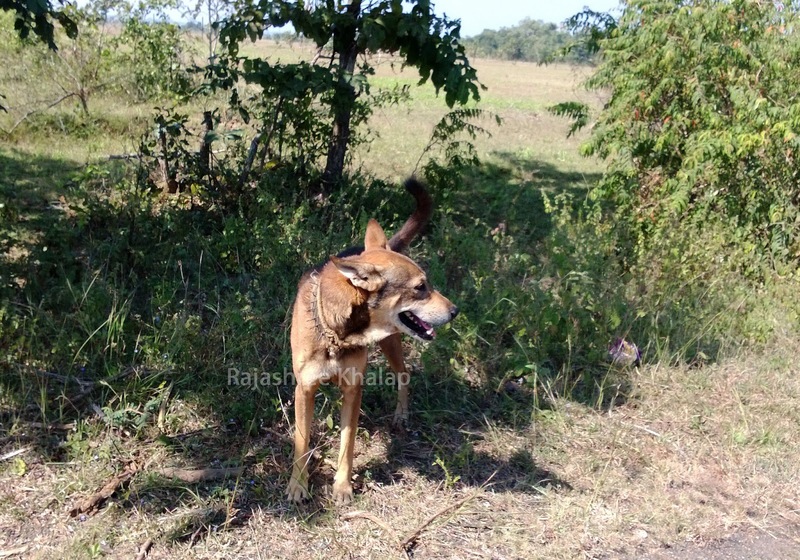 Livestock-guardian dog, seems mixed with German Shepherd Dog from the shaded coat; near Chandrapur, Maharashtra. His name was 'Tommy'! 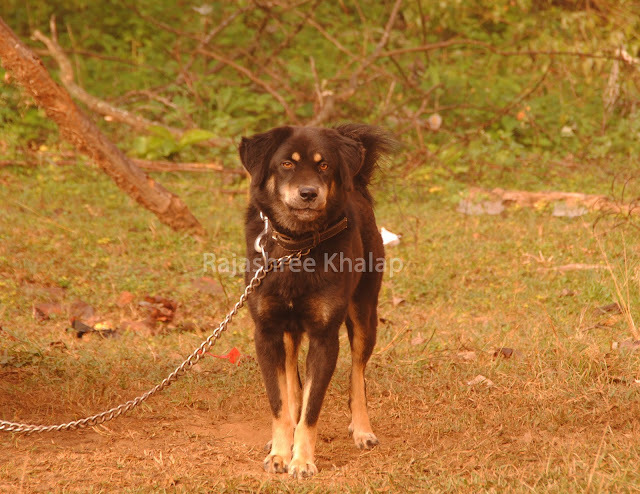 Spitz-mix village dog with his owner, Raigad district. This village is very prosperous and there are several labradors and spitz kept by villagers. I'll be doing some posts on 'Not-INDog' village dogs soon. Drop by in a few days and have a look! And thanks so much for reading my blog! Hey, hello to all. I am a regular visiter of your blog and is hopefull that you may help me. 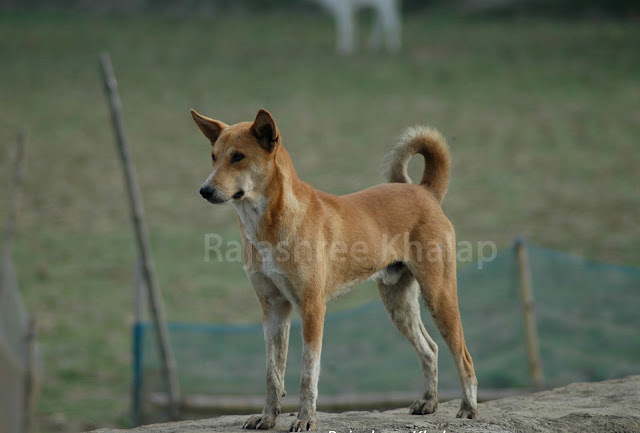 So a lot of our breed is in danger of extinction and one such breed of dog is tazi of bihar. Mentioned in a news report too about the threat to their existence. My req. Was can u guys do some survey and other activity to tell people about them or take any step to try to save them.